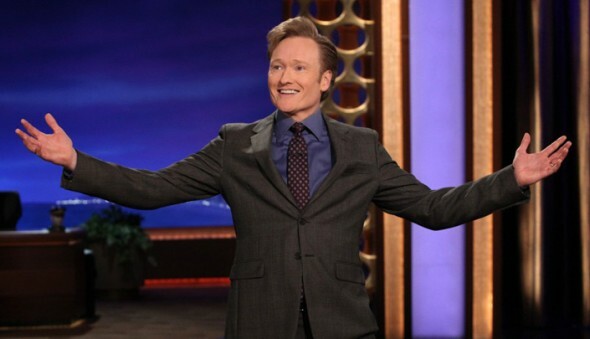 Conan is headed to the Big Apple. Deadline reports the TBS talk show is kicking off its next season with a week of episodes taped in New York City. O’Brien began his late night career in New York on NBC’s Late Night with Conan O’Brien, which ran from 1993 to 2009. From October 31st to November 3rd, Conan will tape shows at the legendary Apollo Theater in Harlem. No other details have been announced yet. You can see Conan‘s South Korea special this Saturday, April 9th, at 11 p.m. ET/PT. What do you think? Do you watch Conan? Do you like that he’s doing so many travel specials? More about: Conan, Conan: canceled or renewed?, TBS TV shows: canceled or renewed?